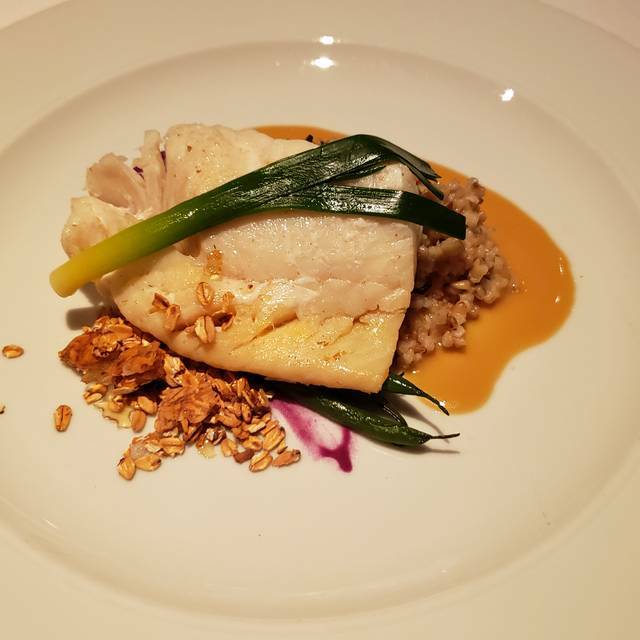 Since 1992, Opus Restaurant on Prince Arthur has been providing one of Toronto’s most exquisite fine dining experiences. Located on a gracious, tree-lined Victorian street in the heart of Toronto’s exclusive Yorkville, Opus is also just steps away from the luxurious Four Seasons, Park Hyatt hotel, Hotel Intercontinental, the ROM, and the high-end fashion houses. Truly and honestly make you feel like family... a experience unlike any I’ve had in any restaurant . We dined at Opus for my wife's birthday. The food and service were impeccable. The menu offered a variety of dishes, all with a unique twist. The location on Prince Arthur Ave. made it an easy walk from the St. George Subway. The noise level was very low, ideal for conversation. The decor was bland, but that was our only criticism. We had a very nice meal and it was good value. The wine is a little pricey (they boast a large wine menu but most of it is unaffordable for mere mortals). Opus remains a spectacular restaurant with delicious food. But the service was not good. 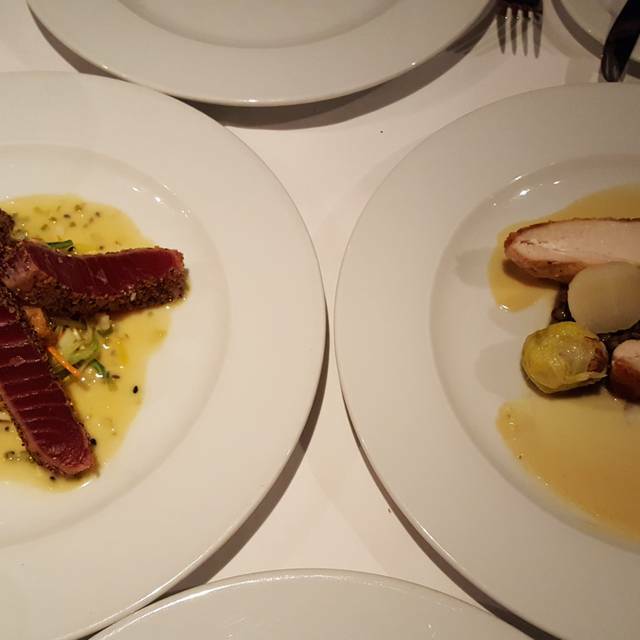 The waiter brought tuna instead of beef for a guest after a long conversation about how the steak should be cooked. But more frustrating was the attitude from the Somalier and the constant hovering when we were having a conversation and when we actually needed to order there was no one. We had a great dinner but we were all confused by the poor service. Food and service was good. Cod was a bit driend but other food was great. Opus was highly recommended to us and deservingly so. 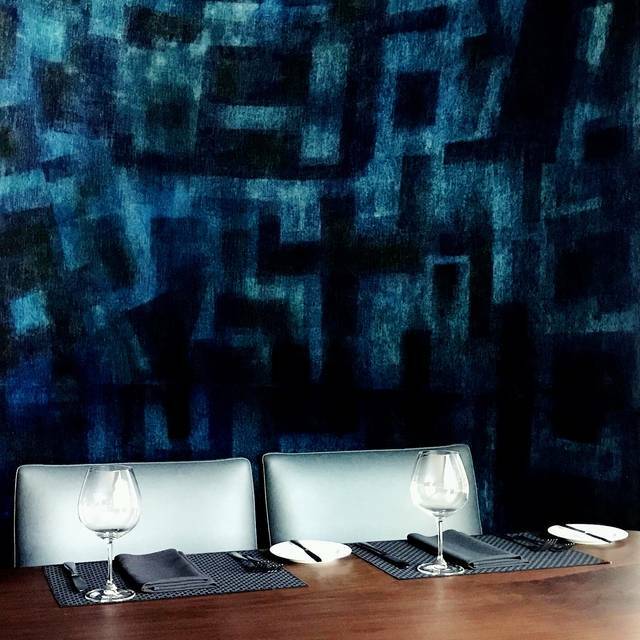 A restaurant that lives up to its name to being a luxurious dining spot in Yorkville. Attentive staff, and despite its upscale atmosphere, welcomes everyone from businesspeople, friends and family with children (I was actually shocked in a pleasant way how many families with children had dinner during my seating). Food is exquisite, and their famous wine is is impressive. My feedback is perhaps for the servers/sommeliers to be a bit more open and friendly about sharing information about the wine. I know my wine very well, and even I felt somewhat intimidated by the testiness of the servers when I was asking about recommendations. I understand the bragging rights of boasting an enormous wine cellar, but I think it also means you should be more accommodating to curious patrons, versus giving a "I'm better than thou" attitude. I would have been more likely to splurge on a bottle, than settling for a glass. There were also a few inconsistencies in the service. They would be strangely attentive with filling up my water glass when it was already mostly full, but when I actually needed a refill, it would take awhile for someone to notice. And at one time, tap water got poured on top of my sparkling water. Minor items, but worth highlighting when I am paying a certain price for an experience. All in all, I would certainly come back to explore the wine menu in more depth, and the food. Food was far too garlicky. Wife sent back her app for being too garlicky, I sent back my main for the same reason. Service was on the slower side and I didn’t have time to order a new main. Had to leave. Wife’s main was bland and boring. Far better options for fine dining in the city. The food for the most part was good. I had the scallops for an appetizer and made a comment after that the falafel was very dry. Was told by the waiter he thought so because the chef on duty she over cooks them. If they know something is sub par you redo it or take it off the bill. Neither was done. For the Venison it was cooked well but the pure underneath was like eating pure salt. Should be tasting the food before it’s served. The donuts were served dry and cold. Sorry to say for a place trying to compete it was off the mark for food. Service was tops at the start but lagged at the end. And not happy with a sever who serves something knowing its not right. They don’t do the restaurant justice. The dishes were creative enough and good use of ingredients but fell short on the execution. My wife enjoyed everything she ordered and was cooked to her liking. But she tended to stay with the safer of the dishes. The salad and the steak. That was cooked and tasted good. I would say try if you are in the area. They might have just had on off night when I went. But can’t say go out of your way to try. As a first time visit we probably would not return with so many options in the city we can spend our money on and wouldn’t need to worry about a repeat occurrence of poor executed meals. 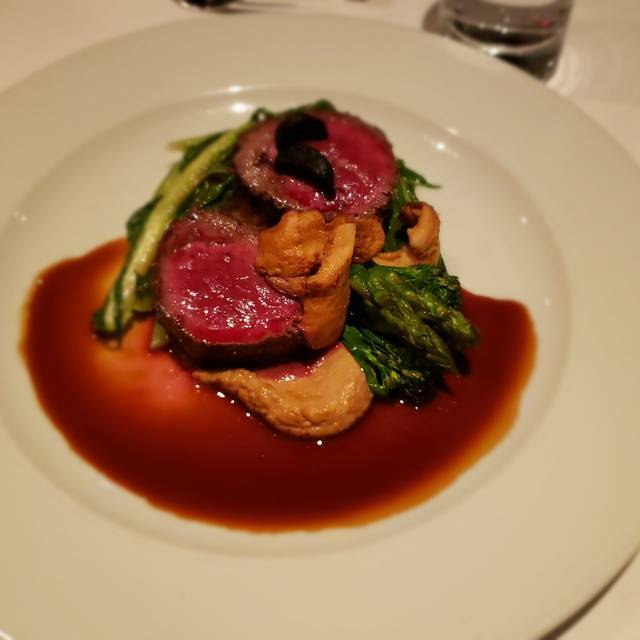 Opus continues to be one of my favourite dining destinations in Toronto! The service from the owner and all the staff is exceptionally good. The menu and specials make it always hard to decide but you can’t go wrong with what ever you choose. It’s no wonder Opus has stood the test of time! We were greeted immediately and the service was excellent throughout the course of our meal. The owner was actively involved and ensuring our enjoyment of our meal. Food was excellent and our server gave great recommendations. Extensive wine list. All in all a wonderful experience. Top class food. Great service. Was close to $100 a person with starters, mains, desert, and a drink - worth it. Good price for the value of food and service. The services is impeccable, the waiters know the dishes and explain so well that you want to try everything on the menu. 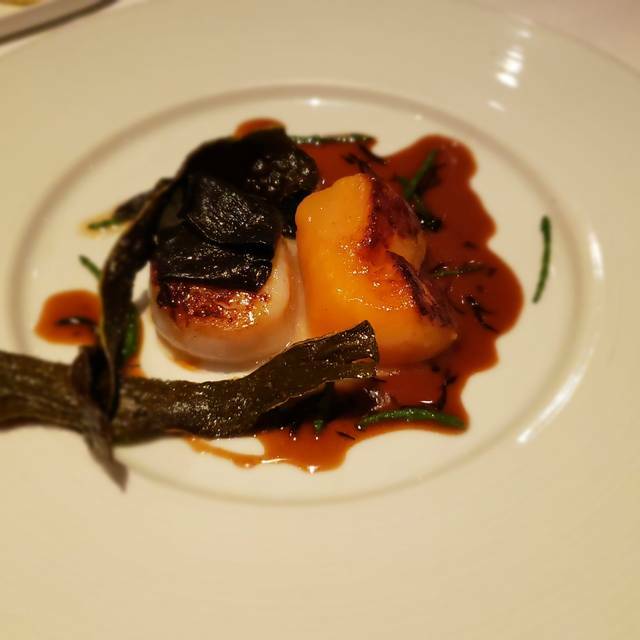 The food is fresh and delicious, pricey but worth the money and the atmosphere is pleasant, sofisticated but understated, unpretentious and just right for a casual dinner and a special occasion. 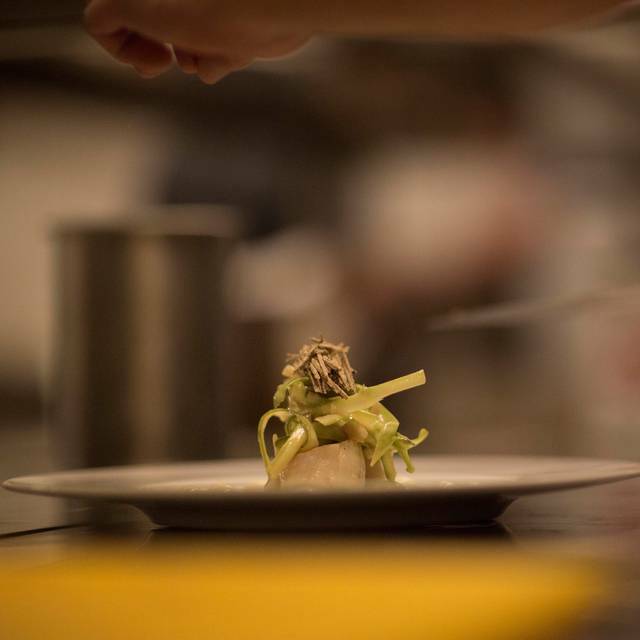 We would recommend this restaurant to anyone who has a discerning palate and looking for a intimate quite environment. We had to wait a long time for our food but it was very good when it arrived. I am generally sensitive to too much salt and next time I would ask them to lower the salt. Quality of the food and the presentation was well done. That was a mistake on our part. We should have been more adamant, and while I know every restaurant hates to right off a failed bottle of wine, better that than writing off a customer relationship. Great food and nice environment. Courteous staff. We both ordered the wild boar special. It was excellent (medium rare). We got there early, just before 6 on a Sunday. We we're initially the only customers, and by the time we left there were two other tables. This allowed them to be very attentive and responsive. Positive points: Service was great. Wine list is perfect. Menu is limited but good choices. Restaurant is relatively small and due to that you can hear people talking. I suggest an ambience music in the background. We had supper at Opus to celebrate our engagement. The service was excellent. The wine list was extensive; we had champagne to celebrate. I had the cod, from Fogo Island as the menu says. This was the only disappointing part of the meal; as a Newfoundlander, I need to stop ordering cod in Ontario. It was overcooked. The accompaniments were excellent though. My fiance's steak was good. Dessert was excellent. Of note, we were by far the youngest in the restaurant, and we're not that young. Not my first visit; food and wine quality, presentation, flavour, excellent. After main course served, wait staff went AWOL. No one available for extended period for desert and after dinner beverages, and the inebriated diner from the birthday table banging into my wife from behind sitting in her chair was not acknowledged by staff. We asked for the bill when someone finally showed up, and left. I booked a table at OPUS for my husband's birthday. I was looking for a fine dining in a cosy place. When we entered the restaurant it was very noisy, no intimacy. I was hoping for a tasting menu but there were only A La Carte Menu. However the choice was great. The food is good even if very fatty / oily and served in small portions. Wines and waiters / service were OK. In overall it was not a bad experience but it is really overpriced for what you get. Outstanding food. Creative menu. Great wine list. Just a spectacular meal. Everything was great, but what stood out was the service: professional and attentive. We asked for a quiet table and received an excellent one in an area off the main room. We chose two unfamiliar wines from the lower price range of the extensive list, and considered both of them standouts. A real pleasure! Still the best restaurant in Canada, IMHO. 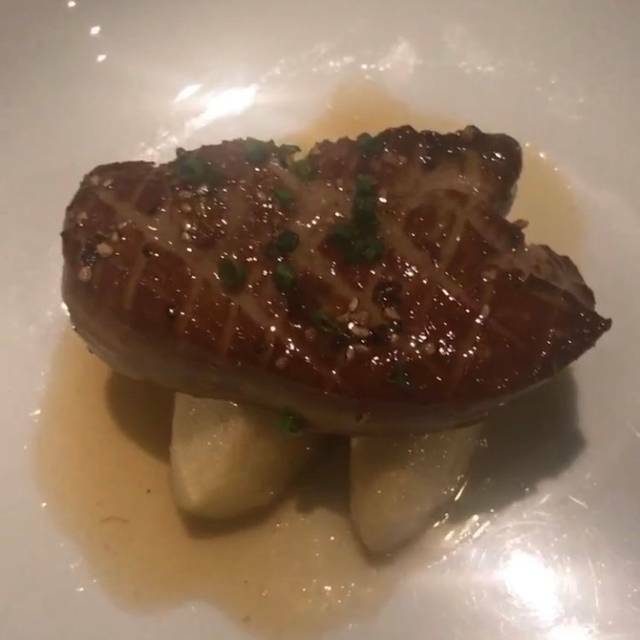 Fantasic foie gras (could have that for appetizer + main + dessert anytime!). Service is perfect and quiet. Plus kitchen open late and bar till 2AM! Excellent we got there when they just opened so it was nice and quiet beautiful presentation. Fabulous seared foie gras, perfectly crusted fish with innovative accompaniment and a lovely Chablis. Took friends from Brazil to one of our favourite restaurants in Toronto. Didn’t disappoint. In fact that is an understatement. This place is great, as always! very good food and friendly with extremely competent service. A very good meal with tremendous service. It’s not an inexpensive place, but I have no complaints - it was a special meal to celebrate my parents’ 49th anniversary, and I certainly feel we got “value for the money”. A great experience in every respect.